On Tuesday, Xiaomi entered the Guinness Book of World Records for the second time by simultaneously inaugurating 500 retail stores across 14 states. The stores were collectively inaugurated at 12 noon yesterday, making this a unique achievement for the company. While the brand was initially launched with an online-only strategy, it is expanding its offline retail presence as well. In September, the fourth flagship 'Mi Home' experience store was launched in Bengaluru, as well as a new office. The company plans to open 100 such stores by the end of this year. Xiaomi's vision is to be recognised as more than just another smartphone company, and to that end, it is exploring non-tech-related products like luggage, clothing and footwear. Mi stores are located in some of the most remote corners of India, such as Moreh on the India-Myanmar border, 650 km from Guwahati, and Aalo in Arunachal Pradesh, the last town before the Indo-China border. 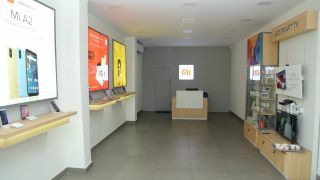 Xiaomi's aim is to bring about a transformation in the rural retail sector in India. It plans to open 5000 Mi Stores by the end of 2019, creating more than 15,000 jobs. The company first entered the record books in September when they created the world's largest light mosaic (of their logo) out of 9690 light bulbs.